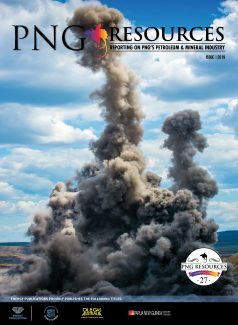 THE PNG Chamber of Mines and Petroleum has welcomed the 2019 Budget which has passed in the National Parliament of Papua New Guinea. Deputy Prime Minister and Treasurer Hon. Charles Abel last week presented his 2019 Budget, outlining the framework and agenda for the government’s financial priorities over the next year. The Chamber congratulated the government and Treasurer’s commitment to fiscal stability and its focus on ensuring global competitiveness and continued international investment. “The budget signals that the government has an eye on the investment environment whilst also continuing its strategy to grow revenue and reduce spending based on stable and effective fiscal policies,” said Dr Albert Mellam, Executive Director of the PNG Chamber of Mines and Petroleum. 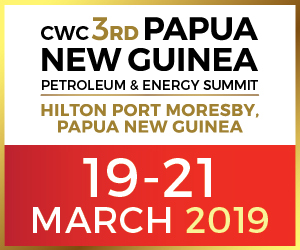 “The resources industry in PNG significantly contributes directly and indirectly to State revenues, whilst also delivering wide-ranging socio-economic benefits to the people of PNG,” said Dr Mellam. The budget also outlined the government’s intention to undertake some policy and legislative changes to the Mining Act 1992 and the Petroleum Act 1998. The Chamber and industry has expressed its desire for regular dialogue and meaningful discussions with the PNG government ahead of any proposed legislative changes. “We are deeply concerned about several of the changes to the Mining Act which have been proposed in the past,” said Dr Mellam.